Sue Grafton is nearing the end of her alphabetically-framed series. Direct in manner and quick to turn up the crankiness volume in any given situation, Sue Grafton’s astute, determined, and fiercely independent Kinsey Millhone has become a familiar pleasure since her “A Is for Alibi” debut in 1982. Her charmed — and charming — circle of longstanding supporters includes landlord and octogenarian extraordinaire Henry Pitts; bar owner and purveyor of Hungarian goulash and chilled glasses of chardonnay Rosie; and on-again, off-again lover Robert Dietz (at the moment, he and Kinsey are just months shy of celebrating their “sixth anniversary of hardly ever seeing each other.”) Good-guy cops — and former Kinsey lovers — Cheney Phillips and Jonah Robb also make an appearance in her latest adventure, but the most significant recurring character in “X,’’ Grafton’s 24th novel, isn’t even alive: Down-on-his-luck private eye Pete Wolinksy died back in “W Is for Wasted,” but is still making his presence acutely and irrefutably felt. Kinsey, in an attempt to help Wolinsky’s widow, Ruthie, with some paperwork, uncovers a coded list of six women’s names. All six, according to Wolinsky’s investigations, are connected in one way or another to a creepy guy called Ned Lowe. As this particular mystery deepens, Kinsey also confronts new revelations about Pete that make her reassess her own previous assumptions about his character, discoveries that make her pursue this particular puzzle with reenergized fervor. 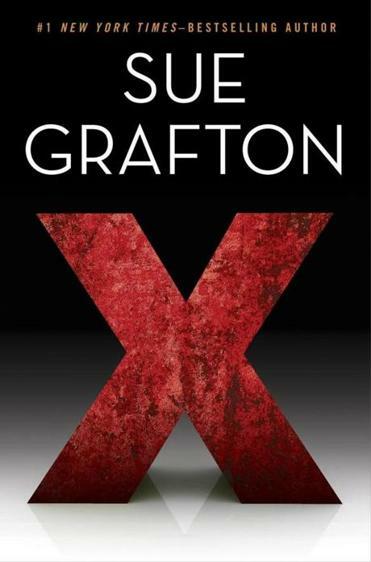 Ratcheting up the heat as she heads toward the finish line of her alphabetically-framed series, Grafton has turned in a corker of a novel with “X,” upping her already high-level game just as Kinsey juggles Wolinsky’s Ned Lowe mystery while immersed in a second case. Early on in the novel, she’s summoned to a beautiful house where she meets Hallie Bettancourt, a mother who gave up her son for adoption long ago and is now trying to track him down. That the son is a recently released convict only serves to pique Kinsey’s interest, and, in true Grafton fashion, the investigation, enhanced with several bouts of surveillance — “This was information-gathering at its most basic, which is to say, boring beyond belief” — grows ever curiouser and curiouser. As Kinsey tackles multiple mysteries she remains as entertaining as always, adept at distracting herself by mentally alphabetizing curse words, referencing Philip Marlowe as she cleans her underwear, and even proving herself to be practically a pro at no-nonsense marriage counseling. And Grafton must have had good fun sprinkling various shades of the letter X throughout “X”: from the ubiquitous sort of X to indicate one’s location in a building, to a bank (the Bank of X. Phillips) to a divorcee (Teddy Xanakis), from xeriscape gardening to a shipping company called XLNT Portage, from a Father Xavier to the Xs of a trellis, half the enjoyment here is spotting the letter in its various incarnations. But the other half belongs to Kinsey: While she sets about tracking down a baddie who is, as one character chillingly notes, “human by imitation,” making full use of her trusty tools — a portable Smith Corona, easily shuffleable index cards for her notes, and serious levels of comfort food — Kinsey holds our attention from her early morning, three-mile run to her signature “respectfully submitted” sign-off.